Drain and rinse 2 packages of NuPasta Angel Hair. Set aside. Sautee onions and bell peppers on a hot pan with olive oil, until tender. In another bowl, mash avocado, remaining lime juice, salt and pepper. 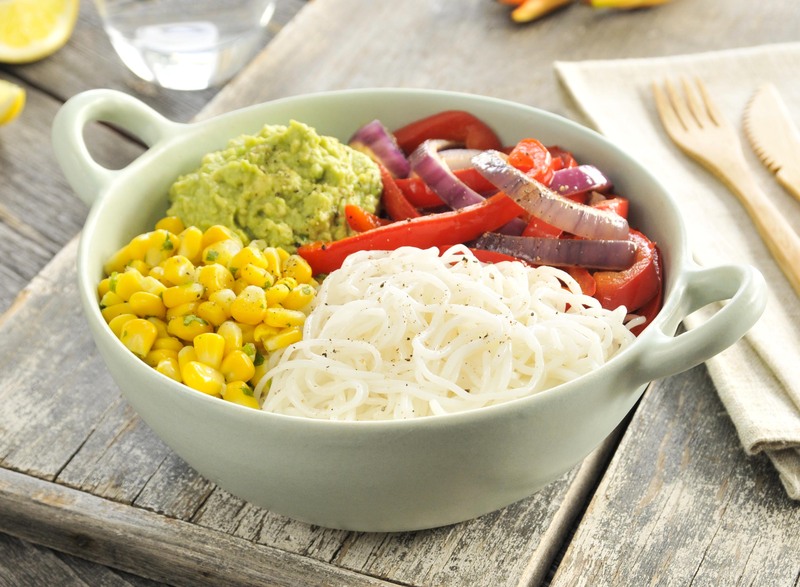 Serve bell pepper and onions, corn mixture, guacamole and NuPasta in a bowl. Optional: Top off with salsa and cheese.